Royal Shahnaz Beauty Salon - Karama - Dubai - We believe in the philosophy of using high quality genuine products to the customer needs suitable to their budgets. We never compromise in the quality. Royal Shahnaz Salon offers all types of facial and skin services customized to suit your skin types. Our professional staff are well trained to do the job with sheer perfection and with utmost satisfaction. 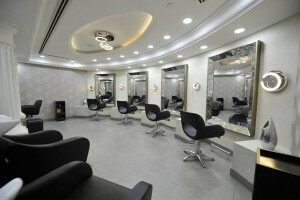 Every moment you spent in our salon will meet your aspirations. Hair services include, different style hair-cuts, hair coloring, re-bonding, keratin treatment, Botox treatment, Spa treatment, Perming etc. Our team is well trained to do the job in selection of products suitable to your hair. After the service you always leave with natural shine and texture of your hair. We do nail art, nail extension and other nail services using genuine colors and products suitable to your choice and feelings. All the services of pedicure and manicure come with flexibility suitable to your need. Our list of services include spa pedicure, spa manicure etc. We do all type of waxing using genuine and quality products of fruit waxes to feel you more natural skin with least discomfort. 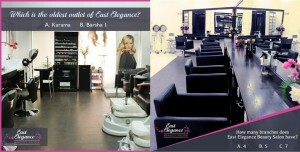 We promise that you will experience differently in our salon with complete satisfaction. Thermo-herb mask and vegetable peal are two of the specialized skin rejuvenating treatments. Thermo-herb mask is mini facelift. Vegpeal follows dermabrasive process to refine the skin. The gold skin radiance kit is a sensational innovation in achieving skin beauty and radiance. Comprising of age-defying pure Gold Scrub, Gold Mask, Gold Gel, and Moisturizing Cream, it purifies, revitalizes and rejuvenates the skin, giving it a youthful and golden glow. The Diamond Facial, a powerful age-control treatment. Centuries of practical applications have shown that the diamond influences the tissues of the human body in a way which facilitates decongestion and promotes the removal of toxins. A revolutionary formula, it creates an enriched layer, revitalizing and providing visible health, beauty and vitality to the skin. Suited to all skin types. it works wonders for brightening the skin by removing tan and nourishes the skin and keeps wrinkles at bay. It makes the skin glow with youthful bliss and warmth. Specially formulated to make the skin appear clearer, brighter and blemish-free. Cleans and moisturizes the skin at the same time. Highly effective and proven procedure for the treatment of acne and pimples. It purifies the skin, curing and soothing. Formula is based on natural products to get best results. Fruits and vegetable juices are used along with herbal extracts. They are rich in vitamins, minerals and enzymes. Products penetrates through the skin and nourishes and hydrate the skin to radiate and make a youthful look. Body Scrub is specially formulated to exfoliate the skin and remove the dead cells. It makes the skin texture to appear young and radiant.